Folwell.info Folwell Elementary School: All Pro Dads! All Pro Dads is a mission to help men love and lead their family well. Be a hero to your kids. Male role models, such as fathers, uncles, grandfathers, brothers, cousins and mentors, come with your Folwell student and join us! Join us on February 3rd in the Folwell Gym for another APD meeting. 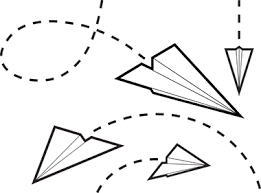 Part of the meeting will be a paper airplane throwing contest for the kids so practice up. Must make the paper airplane the morning of the meeting. Supplies provided. Please RSVP by 02/01 to www.allprodadsday.com/chapters/4278 for food count and other. Also, don’t forget to remind your children to be saving their nickels for Brighter Tomorrows. The kids have been doing a FANTASTIC job and we want them to keep up their great work. Thank you!